Who doesn’t love that crave that satisfying chip crunch? Luckily, there are many literally delicious healthy alternatives that deliver the same amount of crunch and flavour. Get 16 healthy chip alternative recipes here. When you just ~need~ buffalo wings, try this easy and healthy alternative to get both the flavor and the crunch of your favorite wings. Not a buffalo fan? Switch the sauce to your preference! Get the recipe here. I won’t insist that chocolate lovers switch to 70% cocoa chocolate (although delicious, it’s not actually that healthy) because I’m here to help innovate your diet. For something completely different yet equally satisfying, try chocolate avocado brownies. You can eat these babies guilt free. Get the recipe here. A personal favourite, this is a great healthy (and cheap) alternative to junk food for when you’re on the go. Feel like spicing it up a bit? From chilli powder, lime powder, and salt & pepper, to traditional popcorn seasoning or vinegar, this snack is both quick and customizable. Get the recipe here. Peanut butter lovers, I get you. I could eat spoonful after spoonful, and you probably can too. Aside from simply switching over to natural peanut butter, another health-ish recipe to satisfy any peanut butter craving is dark chocolate peanut butter cups. Made with cocoa, coconut oil, and natural peanut butter, these are suitable for your healthy (and even ketogenic) lifestyle. Get the recipe here. 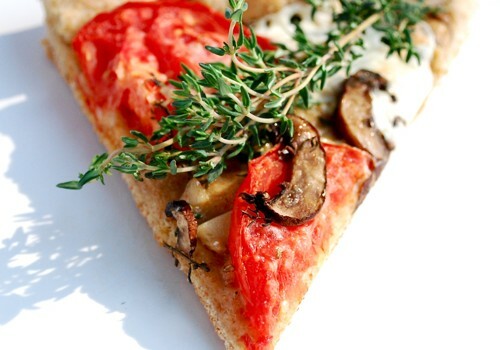 Why yes, there’s a healthy alternative for all of you pizza lovers too. With an abundance of veggies and healthy fats, cauliflower pizza is a personal pizza. Get the recipe here. When you get a serious sugar craving, these gummy bears will help you get through the day. Get the recipe here. This healthy junk food alternative may seem basic, but I prefer calling it timeless. In a rush? Simply freeze your preferred type of yogurt add your favourite fruit, nut, or topping for the perfect snack. My personal favourite is strawberry greek yogurt with sunflower seeds. Get the recipe here. No excuses! Try one (or all) of these healthy alternatives to your favourite junk foods today. Share you experience with us in the comment section below. For when time simply needs to be wasted. Both TV series and Netflix are undeniably awesome. That being said, you may have noticed that Netflix often changes their queue. This can pose some issues for a dedicated audience, expecting their favorite shows to be readily available. If you’ve fallen victim to a queue update resulting in the removal of your favorite TV shows, don’t worry – we are here to help. We have put together an updated list of our top seven favorite TV shows on Canadian Netflix right now – October 2017. Follow everyone’s favourite scientist as he tackles issues from climate change to fad diets through a scientific perspective. Join the “Chanels” as they wreak havoc all over their campus, while a serial killer lurks. This horror-satire is one healthy season of entertaining episodes. Renowned astrophysicist Neil Degrasse Tyson teamed up with Family Guy creator Seth MacFarlane to create a docu-series that highlight humankind’s quest for knowledge, with clearly portrayed concepts, presented with both skepticism and wonder. Luckily the hit series Walking Dead doesn’t seem to be going anywhere. Season 1 to 7 are readily available on Canadian Netflix! Feeling like something a little more laidback? Enjoy ~everyone’s~ favorite adult cartoon – Family Guy. Canadian Netflix currently hosts 15 seasons. Needless to say, you will be amused for a while. The 90’s classic sit come Friends is a perfect show to watch, no matter your tastes. With a healthy 10 seasons available on Canadian Netflix right now, this cast will have you laughing for (at least) a few weeks. Yet another hugely popular series, Suits is currently available on Canadian Netflix. With seasons 1 to 6 readily available, you will be able to follow Mike, Harvey, Lewis, and Donna’s journey from the very start. Did we miss any great shows that are currently hosted on Netflix? Let us know which of your favorite shows are on Netflix right now, in the comment section below.